Any Beef Cut Can do! I have used chuck steak but it is not a must, the cooking time is long enough to make any cut fork tender. You can also add more vegetables like mushrooms and potatoes. 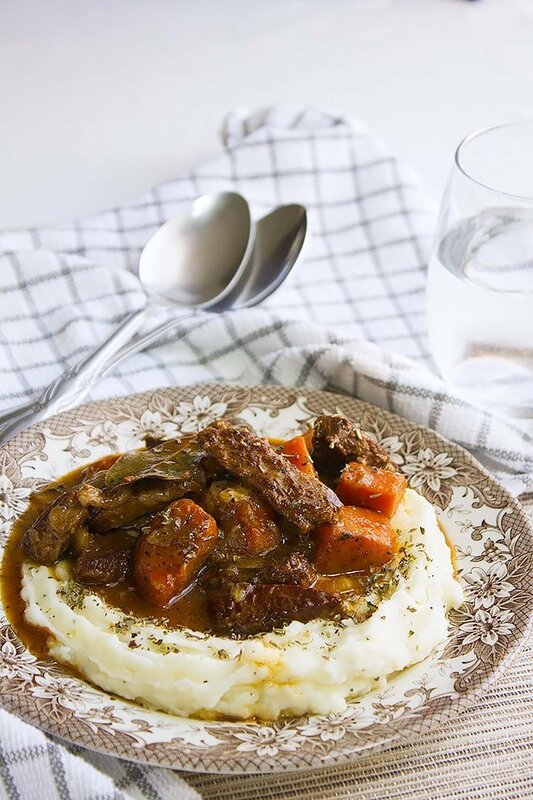 I have served this stew over mashed potatoes, therefore, I didn’t add any in the stew. Making Old Fashioned Beef Stew. 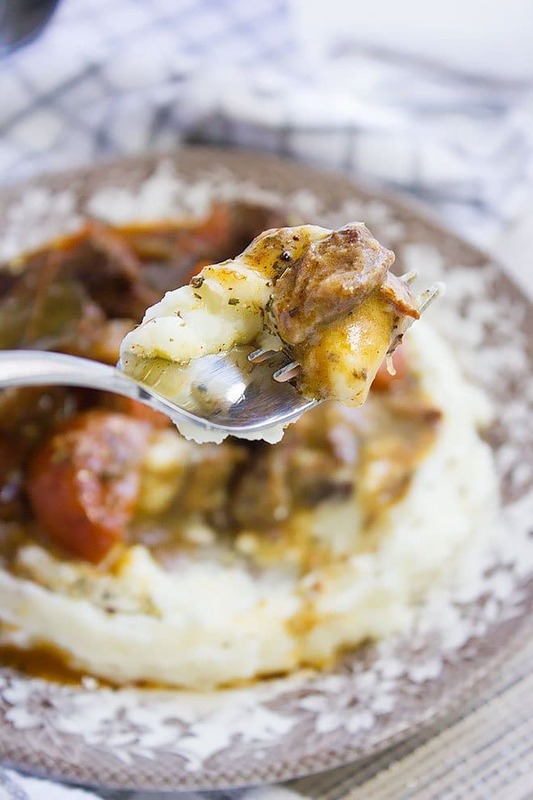 The thick yet creamy stew is best served with bread or mashed potatoes. Although the cooking time is long you don’t have to be in the kitchen all that time. What you should do is to check on the stew every few minutes in case more water need to be added. It is Summer but this stew can be served and enjoyed in any season. 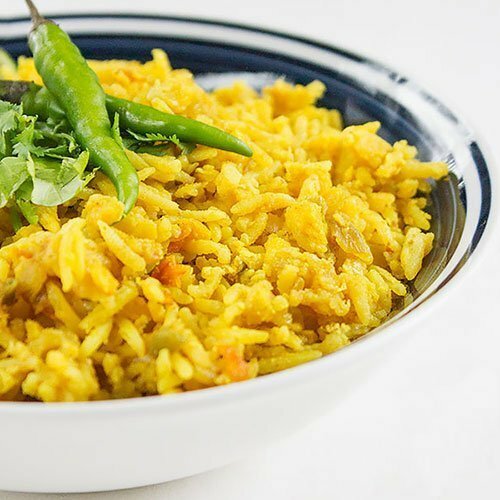 If you ever make this recipe, do let me know how you liked it in the comment box below. Let’s make some beef stew together! Dredge beef cubes in flour and keep aside. In a pan, add oil and brown the beef on both sides. Remove and keep aside. In the previous pan and using the remaining oil, add the onion and carrot cook until onion is translucent. Add the beef, garlic, all the spices, and stir for two minutes. Add the water and cook until the beef is tender and the stew is thick. If the stew looks dry add more hot water. 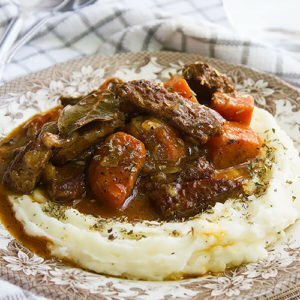 You like Old fashioned beef stew recipe? Please follow me on Pinterest for more! Looks so good over the mashed potato! This looks divine! 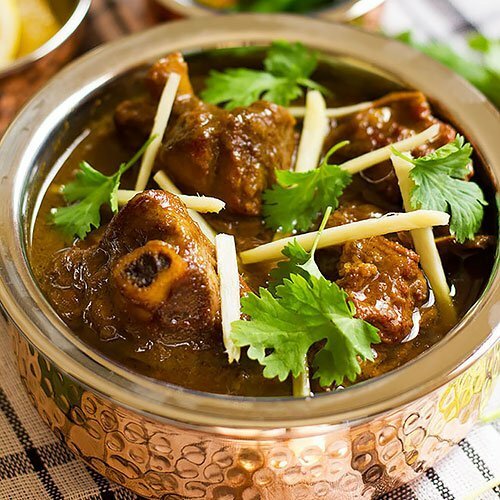 I love juicy beef stew with a slightly thicker sauce. It’s a cold and rainy day today in New England, this would be perfect for dinner! This looks delicious! My husband loves comfort food and I think this would be a winner in our home. Can’t wait to try it! 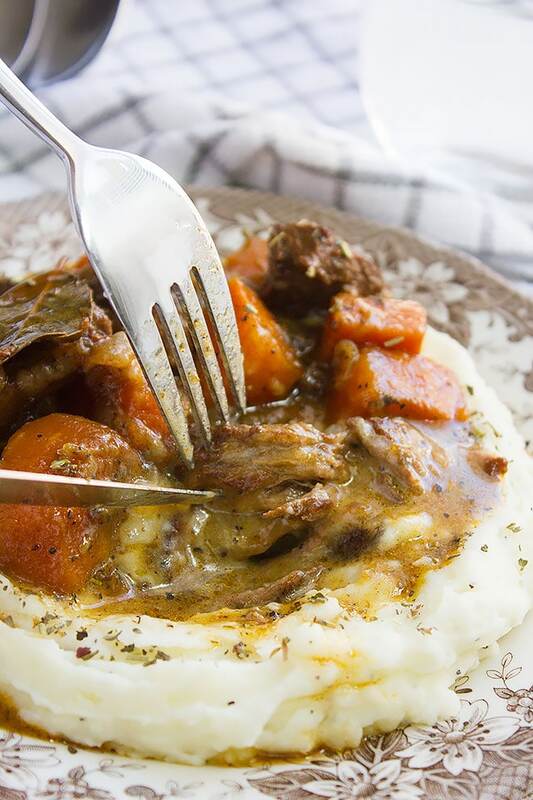 I mostly have stews with bread but tasted great on mashed potatoes. Omg, I love beef stew. My mom used to make big crock pots of it when she was alive. I loved those nights! This looks amazing. I’m going to have to save this recipe. 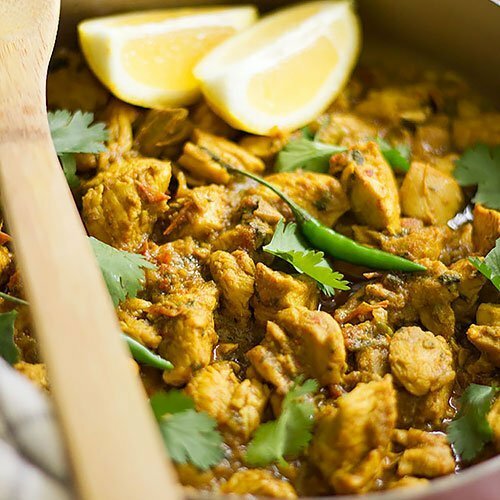 I’m sure you won’t be disappointed, this recipe is although simple but full of flavor! 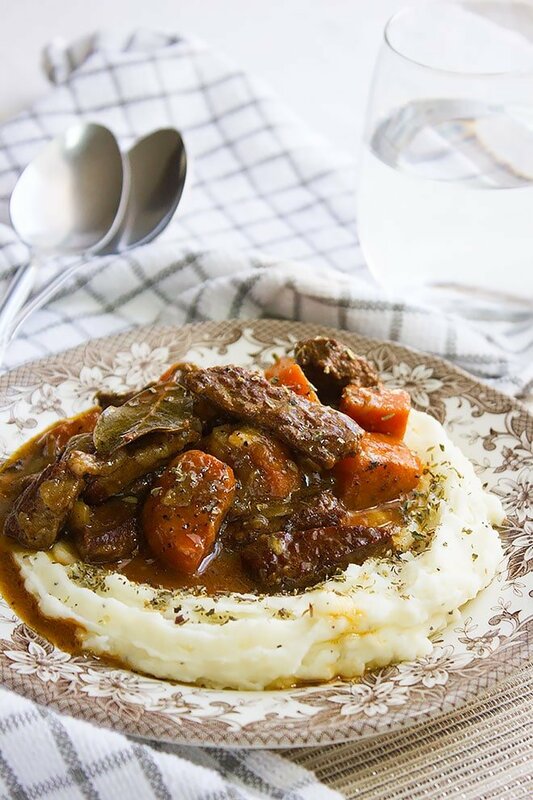 Beef Stew is one of my favorites! This recipe looks easy and delicious. Definitely going to be giving this one a try. This looks delicious! What an amazing, hearty and delicious dinner idea!